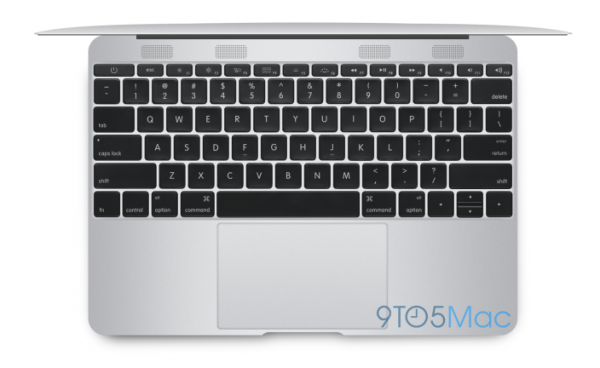 According to Mark G from our friends over at 9to5Mac, Apple is rumored to be working on a 12-inch MacBook Air with an all new design that just might position it to compete with cheaper Chromebook’s. Possibly. Maybe. We think. Or are they simply continuing a philosophy that has driven Apple design for years–minimize, reduce and streamline their product line? Apple is known for pushing aging technologies out of their product lines, and ushering in new more efficient design formats even when customers might not be ready for the changes. We saw them do it with the floppy-disk drive, they did it with the hard drive. Now it looks like they may be removing multiple ports and connectors on the purported newly designed MacBook Air. More specifically, the 12-inch Mac Book Air will no longer have full-sized USB ports, MagSafe connectors, or a SD card slot. The payoff is an even thinner design that will still house a high-resolution display. So what’s all the hoopla about? What category does this new MacBook Air fit into for Apple? Who will appreciate or desire a design such as this? What sets this MacBook apart for previous versions? These are the questions–what are the answers? So what will these changes offer the consumer, and why should this interest us? One possibility points toward a new entry level MacBook that will be able to compete with cheaper Chromebooks, but still offer a premium look and feel that is unmistakably Apple. Although this is plausible, it appears that with this device Apple is slimming and trimming as much as possible from weight and function. Still, I’m not sure I can fully get behind this possibility without more info. This just isn’t how Apple typically functions. However, even though past behaviors are usually good indicators of what to expect in the future–Apple under the leadership of Tim Cook has been less predictable than ever before. What say you? From what Mark has described, is this a MacBook you would be excited see, or more importantly, would you be interested in purchasing one?